…like a good Indiana Jones movie, the real story of this lost treasure began with a flash of archaeological insight in a remote Asian jungle half a world away…. 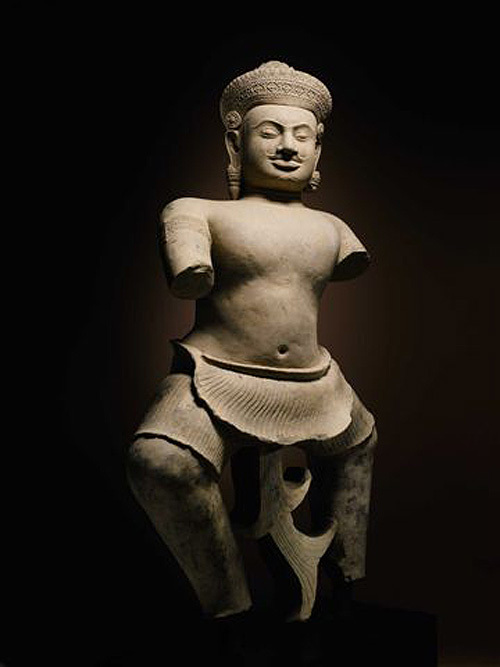 10th century Cambodian sculpture previously scheduled for a multi-million dollar Sotheby’s sale. Their investigation reveals that the legal and moral issues surrounding the ownership and sale of ancient art are quite complex. 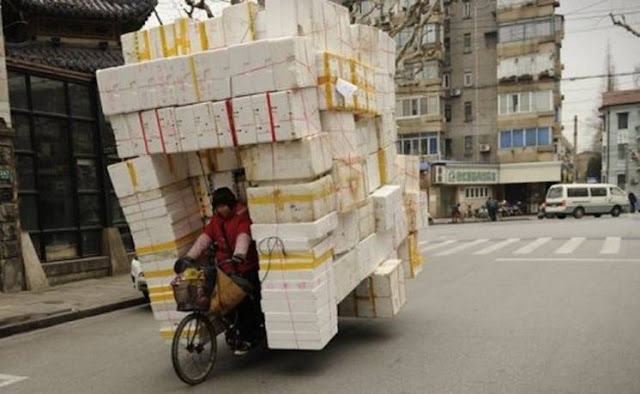 In this case, one generous art collector may actually provide a positive solution. But like a good Indiana Jones movie, the real story of this lost treasure began with a flash of archaeological insight in a remote Asian jungle half a world away. One thousand years ago, the Khmer Empire ruled most of what is now Southeast Asia from its capital in Angkor. During their heyday, the architecturally and artistically sophisticated Khmer people created some of humanity’s most extraordinary stone temples and statues. Apart from a few stone inscriptions, however, no written records of the civilization survived. Out of necessity, archaeologists have had no alternative but to piece the story of the Khmer people together, clue by clue and stone by stone. Rising above 30 meters in height, Koh Ker’s central temple-mountain of Prasat Thom was built 100 years before Angkor Wat. 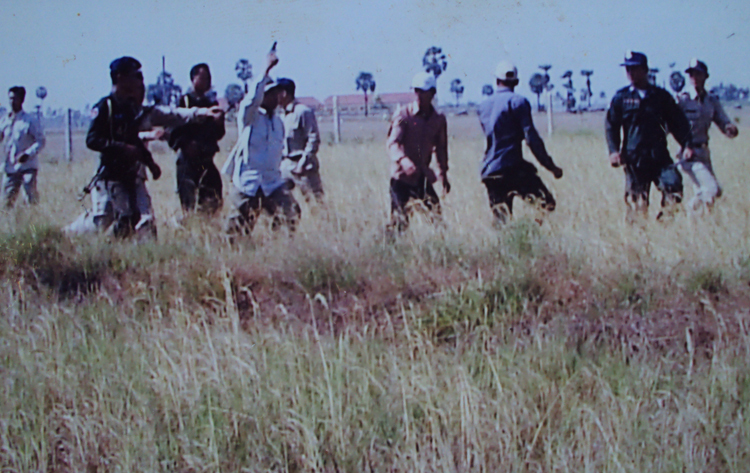 Photo: Khmersearch, Panoramio. Early in the 10th century (for reasons that are still unclear), King Jayavarman IV and his son Harsavarman II relocated the empire’s capital from Angkor to an isolated plateau 100 km to the northeast. There they built the city of Koh Ker, a huge new complex of temples and shrines, where they established their throne for a brief 16 year period (928-944 AD). 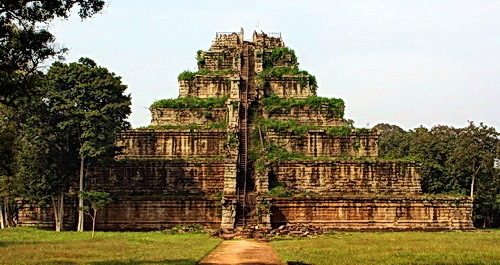 Like all great Khmer cities, Koh Ker was ultimately abandoned and swallowed up by the jungle. The rediscovery of the Khmer civilization by Westerners didn’t begin until French explorers arrived in the second half of the 19th century. 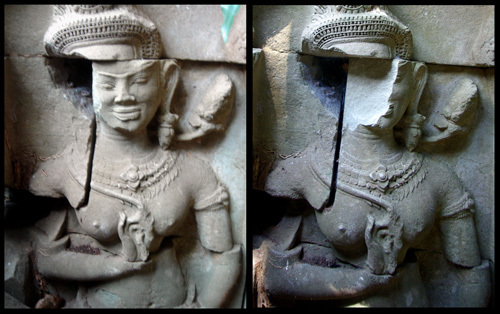 In 2007, stone conservator Simon Warrack was working with the German Apsara Conservation Project (GACP), a scientific organization that had been doing critical restoration on Angkor Wat temple for more than a decade. In May, Warrack took a side trip to the Koh Ker site (Google Map link) to consider future conservation needs there. At Koh Ker, Warrack noticed two distinctive pedestal platforms in the first enclosure of Prasat Chen. There, by the west gopura (an entry structure), he saw the feet where two statues had clearly been broken off. But the gods that once stood there were nowhere to be found. The mystery sparked his imagination. The two Koh Ker pedestals as Warrack found them at Prasat Chen in May 2007. The pedestal circled in red shows a fabric section still attached in the center. From my own research cataloging the devata of Angkor I can attest that field work is generally hot, uncomfortable and distracting. Almost all of my discoveries happen at my desk in Florida examining photos taken weeks or years before at remote locations. Warrack continued his search in similar fashion. He pondered the distinctive bases and began searching for photos in books and research archives. Finally, he found a possible solution. In “Adoration and Glory – The Golden Age of Khmer Art” by Emma Bunker and Douglas Latchford one image stood out. It showed a figure identified as a dvarapala (guardian) at the Norton Simon Museum in Pasadena California. That statue was missing its feet, but many are. The key to solving this puzzle was the unique tail at the bottom of its clothing element. After scanning images and digitally combining them Warrack confirmed the close match between the two fragments. 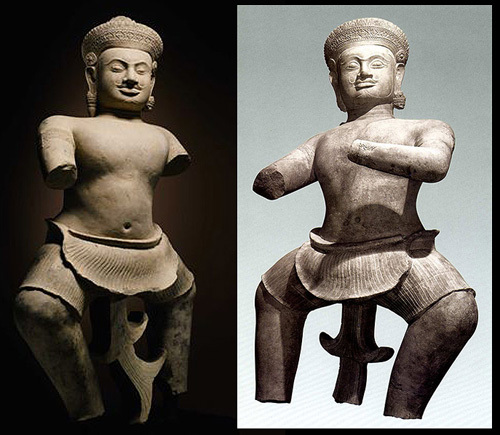 Warrack’s 2007 digital superimposition of the base and body of the Koh Ker statue. Warrack immediately wrote a short paper to seek opinions from others in the field of Khmer studies. He forwarded copies to friends and associates as well as to key authorities including the APSARA Authority, which manages the Angkor region’s heritage assets; the Ministry of Culture and Fine Arts in Phnom Penh; and the École française d’Extrême-Orient (EFEO), a French organization dedicated to Asian studies that has been active in conservation efforts at Angkor since 1907. I met Simon in 2007 shortly after his find and the photos above come from the original article he shared with me. Everyone who saw his image realized the importance of this observation. Determining the original location of displaced objects can be a huge help in interpreting their meaning and significance within the context of an ancient civilization. The record shows that the Norton Simon piece was acquired legitimately and is on public display for educational, artistic and cultural appreciation. But not all art ends up this way. Much of it disappears into private collections, out of view. Such was the case of the complimentary statue that stood face to face with this one more than a thousand years ago at the Khmer capital of Koh Ker. 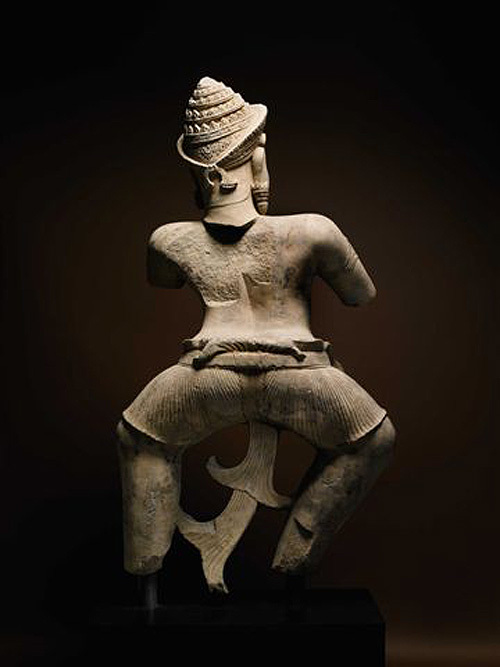 Sotheby's twin Khmer warrior. Note the unbroken base of the fabric tail. In the summer of 2010, a “noble European lady” contacted Sotheby’s to discuss the sale of a “spectacular tenth-century Cambodian sculpture, 160 centimeters in height and exceptionally well carved.” Word got out quickly to the worlds of art and archaeology. When pictures began to circulate it was instantaneously clear that this was the long-lost companion to the statue Warrack had connected to the Norton Simon Museum three years earlier. Meanwhile, in New York, the matching sculpture was estimated to sell for millions of dollars. According to the owner’s records, she legally acquired the piece in 1975 from the now-defunct London art dealer Spink & Son. The Norton Simon Museum also acquired their piece that year. Some evidence suggests that both statues left Cambodia in the late 1960s, but exactly when and how that happened, and who arranged it, is unknown. Regardless of the lack of facts, the ownership of both statues seems quite legal under international laws. Which brings us to a question at the heart of this matter. Who Should Own Historical Art? An idealistic answer is “humanity” but even this dream can have unexpected consequences as we’ll discover below. My personal goal would be for historical assets to be accessible to everyone who wants to respect them, preserve them, appreciate them and learn from them. But this philosophy wouldn’t get me through the front door at most of the world’s public institutions holding these assets (let alone to private collections). Most of us are fortunate enough to live in a free society. We can buy, sell and own personal property within the law. The laws protecting heritage assets have evolved considerably over the past few decades, and they continue to do so. But the fact remains that countless artifacts were legally acquired by collectors (“noble ladies” included) as well as public museums since the beginning of time. Isn’t it their right to display, use and sell their property as they see fit? 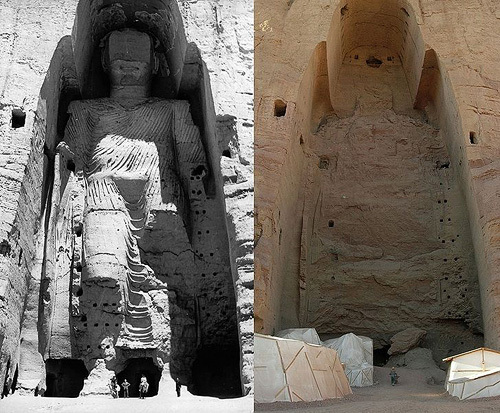 The taller Buddha of Bamiyan before and after destruction. Photo: Wikipedia. 1. Can a government or private entity decide to demolish old structures? This happens every day in every city around the world. Sometimes historical societies rally to save a site. Sometimes they can’t, as seen in the shocking annihilation of the Buddhas of Bamiyan. Was that government right? Were those people right? And who are you to judge? Do you live there? In Sarasota Florida some local groups rallied to have this mural erased from a shop. 2. Can a government or private entity destroy something offensive or blasphemous to their values or religion? How far does freedom of expression go? This Yale article discusses the destruction of Buddha images in the Maldives. But it also mentions things like Henry VIII’s systematic destruction of all the monasteries in England, Wales and Ireland. 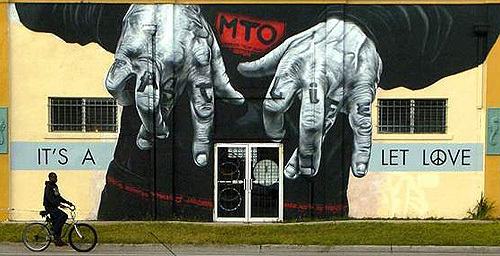 Near my home in Sarasota Florida a debate has run for months about erasing a mural that may promote gangs. Acts of artistic control and destruction happen all the time. Sunken treasure found by Odyssey Marine 1700 feet deep in the Atlantic Ociean. 3. Can a private group use its own funds to recover or preserve historical objects that were clearly abandoned by the original owners hundreds or even thousands of years earlier? In other words, does everything actually belong to some hypothetical “rightful owner”? And who owned these things before them? Odyssey Marine Exploration in Tampa Florida just got a harsh lesson in how arbitrarily this question can be answered. Odyssey spent years working to locate and salvage a ship in international waters off the coast of Portugal. It lay, unknown and untouched for two centuries in 1700 feet of water. US courts just ruled against Odyssey and returned all the artifacts to Spain. Ironically, that silver and gold was mined in Peru by peasants working under slave-like conditions. Peru, of course, came under Spanish control in the 16th century when conquistadors brutally subjugated the Inca civilization in their quest for territory, power and treasure. But to the US courts, 200 years of ownership was enough to confiscate assets for an “original” owner…but not 400 years. Peru’s claim to the artifacts was ignored. 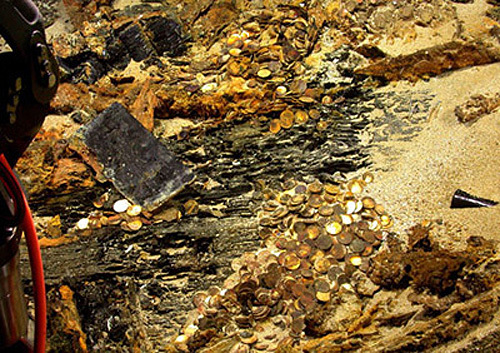 On the other side of the gold coin, salvage operations generally destroy much of the archaeological evidence that exists on a wreck site. I took an archaeological research diver workshop at a Florida galleon site, and I’ve also had the privilege of discussing this topic with the father of underwater archaeology, George Bass. I am quite opposed to the wholesale destruction of history to recover precious metals on land or at sea. But in this case, Odyssey Marine consistently gathers a lot of archaeological data from their sites. And is it reasonable to ask when and how carefully archaeologists would be excavating this particular site more than half a kilometer deep? It seems we can all learn much from Odyssey’s digital photos, detailed site maps and the thousands of objects recovered. More than we would have known if the site was never found. Now the responsibility falls to Spain to educate and inspire us with their recovered objects. The world watches. 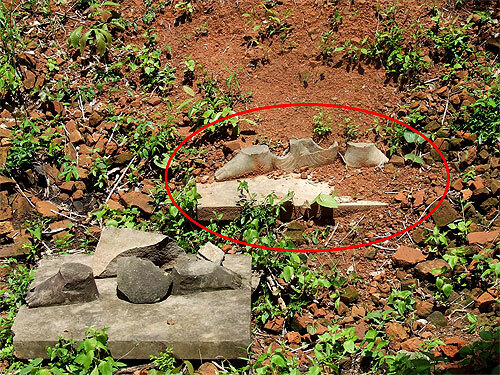 The “Angel of Beng Mealea” - March 5, 2006 and February 12, 2007. There are countless examples. There will be countless more. Each situation is different. Right and wrong are not always clear. And certainly never appear the same to opposing parties in a disagreement. Back in 2008 I bought a used car legally. But what if the original owner (or the factory, or the country where it was built) tried to reclaim it because “I parked it too long” or “I wasn’t taking care of it” or “they want to study it” or “it belongs in the original place”? I can’t say I’d be too happy. But there are solutions to these issues…as there are to most human conflicts: communication, empathy and diplomacy. Fortunately, a combination of these factors may lead to a resolution to the quandary of the Sotheby’s statue sale. Cultural sensitivity about who historical objects should belong to is a fairly new concept. As noted above people have the right to own private property. This has been going on for a long time. Humans are an acquisitive species by nature. It’s worth noting that some of the most successful “acquirers” (Rockefeller, Carnegie, Warren Buffett and Bill Gates come to mind) have also proven themselves as some of our most generous givers. And some art collectors have proven themselves in this way, too. After a lifetime of actively hunting, obsessively gathering and painstakingly preserving the rare objects they crave…many end up donating their collections to public institutions. In the world of Khmer art, Douglas Latchford, co-author of “Adoration and Glory” with art historian Emmy Bunker, is one example. He began collecting Khmer artifacts 56 years ago (1956). Over the years he and his friends have shared financial gifts with the National Museum of Cambodia. More significantly, he is the museum’s biggest contributor of artifacts (read more about Douglas Latchford on KI-Media). 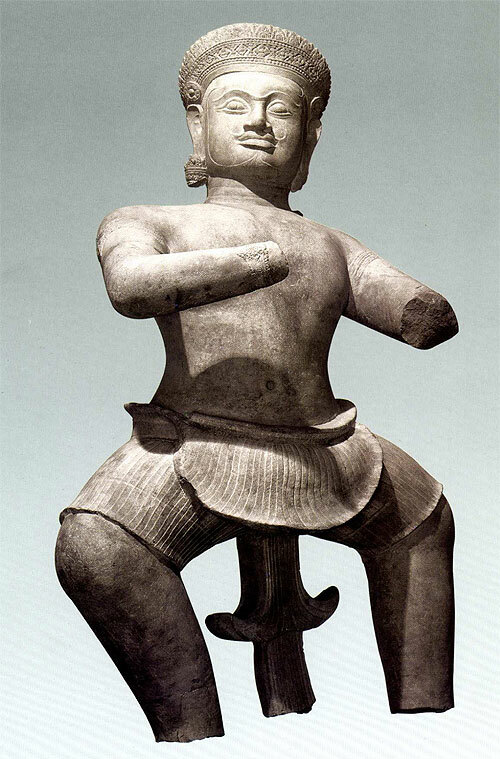 Now another collector may assist with a solution to the thorny situation of the Koh Ker statue at Sotheby’s. Dr. István Zelnik, founder of the Gold Museum in Budapest, Hungary. During the 1970s, Dr. István Zelnik served as a Hungarian diplomat in Cambodia, Laos and Vietnam. Like many passionate collectors he invested his money in rare books, antiques and works of art. Motivated by a love of art and curiosity about the objects he found, he became an increasingly sought after consulting expert for museums and archaeologists around the world. In 2011 his dreams culminated with his greatest achievement: founding the Zelnik István Southeast Asian Gold Museum in Budapest Hungary. In a statement to the New York Times Dr. Zelnik expressed the possibility that he may purchase the statue for donation to the people of Cambodia. A generous, diplomatic and expedient solution in our complex world. The owner would be compensated for her private property, huge amounts of time and money would not be wasted on legal litigation, and the people who respect and admire the art of the Khmer people could once again see this expression of creativity in the land where it was born. I wish him success and encourage him along with Mr. Latchford and other collectors to continue sharing the objects of their passion with the world. The two mythic Cambodian warriors as they one faced each other at Koh Ker. Below, Simon Warrack asks if they can one day be reunited? Could Two Ancient Brothers Meet Again? “The concept of “ownership” may be the wrong place to start when considering important objects. It is the value and significance of an object that should be thought of first, rather than who it belongs to. ”The questions should really be about the object itself, not who it belongs to. Where is the object best valued? Where is it best appreciated? Where is it best understood? Where is it best conserved? “Who an object belongs to should be secondary. As one of my colleagues observed ‘Objects are not important because they are in museums. They are in museums because they are important.’ The object itself is the important factor, not the museum that possesses it. 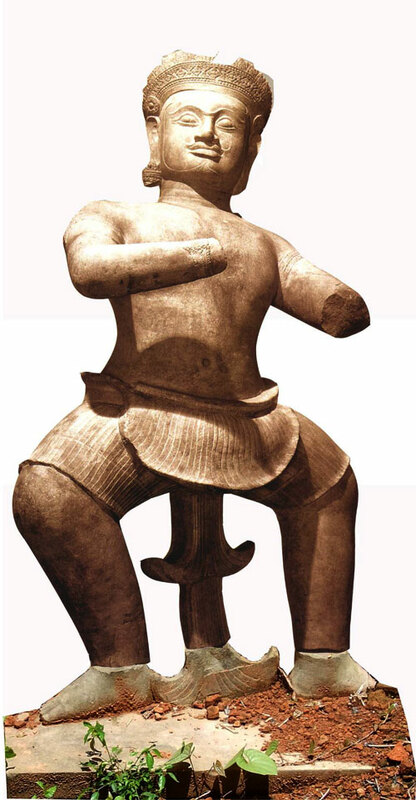 “After finding the empty pedestals seven years ago actually seeing both Koh Ker statues is remarkable. The possibility now exists that, one day, they may be reunited. Simon closed by mentioning a concept from the book, Who Owns Antiquity by James Cuno. Cuno observes that national museums in wealthy nations host “encyclopedic” collections of objects from around the world, while national museums in less wealthy countries host indigenous local art relating to their own history. He suggests that the global exchange of art would be a good direction to head in. Just as it is good for a child in Pasadena to experience the art of Cambodia, wouldn’t it also be wonderful for a child of Cambodia to see pieces of American history? Or the creations of Greece, Rome, Egypt, Mexico, etc.? With communication, empathy and diplomacy we can all grow and learn. 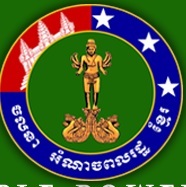 CPP Svay Rieng governor: No arrest made against the CPP Bandit! 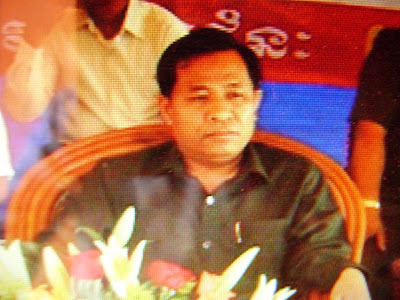 Svay Rieng – In response to news media report indicating that Chhouk Bandit, the mayor of Bavet city who is suspected of shooting and causing injuries to 3 workers – was arrested, Chieng Am, the Svay Rieng provincial governor, confirmed over the phone that, as of 03 March 2012, there was no arrest made against the CPP Bandit yet. Chieng Am told DAP-news over the phone that Chhouk Bandit was not arrested, i.e. his case will be dealt legally by the court. This morning, Orn Soeun, the commander of the Svay Rieng military police, confirmed over the phone that there is no news about Chhouk Bandit’s arrest yet. 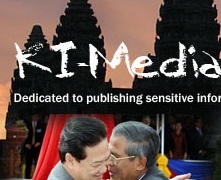 Similarly Kiet Chantarith, the spokesman for the national police force, also made the same claim. Expectations for the arrest of Chhouk Bandit started when Sar Kheng, the minister of Interior, revealed that Chhouk Bandit was indeed the suspect in the shooting on protesting workers in Bavet city. The shooting led to 3 workers who were seriously injured and had to be sent to Calmette hospital for medical care. Phnom Penh – Hing Bun Chea, the prosecutor for the Svay Rieng provincial court, told CEN in the morning of 03 March 2012 that there was no arrest made against CHhouk Bandit, the mayor of Bavet city who was accused of shooting and seriously injuring 3 factory workers. He said that the case is still in the hand of the prosecutor. Hing Bun Chea’s statement was made after human rights activists have indicated that the Svay Rieng police had reported that Chhouk Bandit – the mayor of Bavet city who is suspected of shooting on protesting workers on 20 February 2012 and causing serious injuries to 3 workers – was arrested in the evening of 02 March 2012 in Romeas Hek district, near the Vietnamese border. 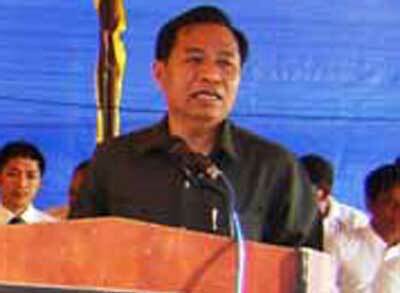 It was reported further that Chhouk Bandit was detained at the Svay Rieng police station. 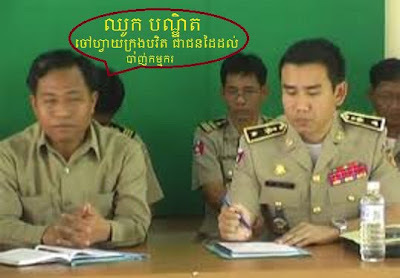 With his statements above, Hing Bun Chea added that he did not contact Chhouk Bandit yet because he does not know his whereabout. An official from the Bavet city hall, a town located next to the Vietnamese border, indicated that, following the 20 February 2012 incident, Chhouk Bandit never show up to work at his office in the city hall at all. Photo of Chhouk Bandit shooting in Bavet?